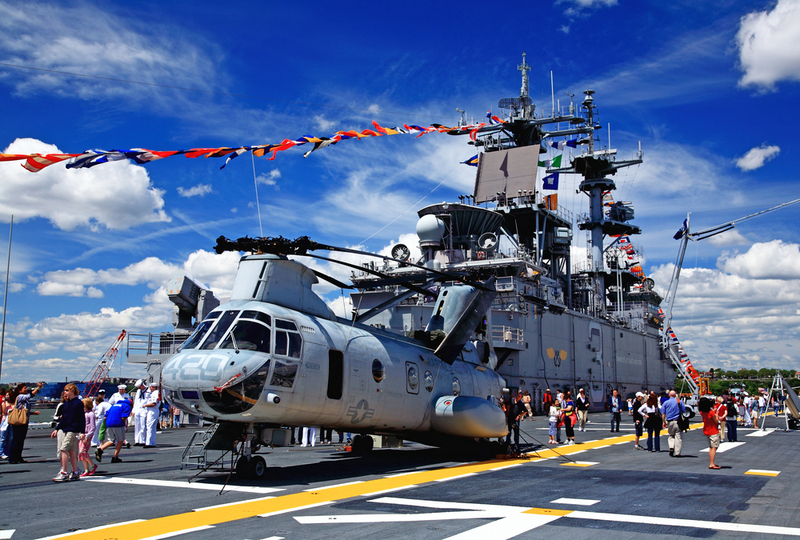 Fleet Week kicks off in New York City with the arrival of the Navy and the Marines. In honor of this homecoming there’s a Parade of Ships in New York Harbor on Wednesday, May 24, 2017, from 8:15 a.m. - 1 p.m. It’s a sight to see. Look for the huge aircraft carriers lined with our servicemen that pass right in front of the NYC skyline and the Statue of Liberty. There will also be several performances by the Navy Band, many of which will be in Manhattan. The first Navy Band concert will be held Tuesday, May 23, 2017, at 12 p.m. at Central Park's Naumburg Bandshell, while the others will be held in the Times Square Military Island on Friday, Saturday, and Sunday evenings. Check the official Fleet Week schedule as the times do differ. Also in Times Square, the U.S. Navy will be putting up a Dive Tank for demonstrations by Navy divers. This will be happening Thursday, May 25, Friday, May 26, and Saturday, May 27, in the Times Square 43-44 St. Plaza. Expect to be amazed. These servicemen and servicewomen defy the normal conventions. Maybe they’ll even do a few tricks. One of the most interesting events has to be the daily ship tours. Starting Thursday, May 25, 2017, and running through Monday, May 29, 2017, the Navy vessels will be open to the public for tours. See how the both the Marines and Navy live at sea. In Manhattan, the ships will be on display at Piers 88 and 92, Intrepid Sea, Air and Space Museum, and Pier 86 in Manhattan. If you’re in Brooklyn, there will also be one at the Brooklyn Cruise Terminal. To close out the week, there’s the Intrepid Memorial Day Commemoration which honors the veterans, living and dead, for their sacrifices. There will also be veterans in attendance, so make sure to thank them for their service. The event will be held at the Intrepid Museum on Monday, May 29, 2017 at 11:30 a.m., just a short walk or train ride from The New Yorker Hotel, at 12th Avenue & 46th Street. Will you be in New York City for Memorial Day Weekend? Check our packages for special discounts and money-saving offers.